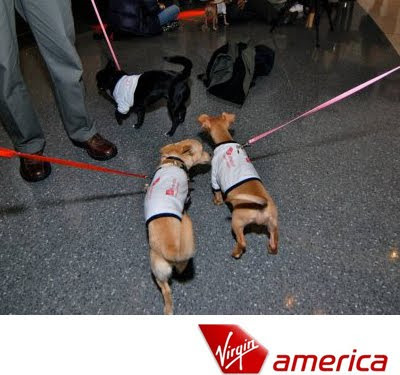 Operation Chihuahua: Virgin America's Red Carpet Pups! Too Cute to be Homeless! It may seem shocking that these cute little pups were stuck in animal shelters out west, but it's true. I call it the Paris Hilton syndrome, you can call it what you'd like. 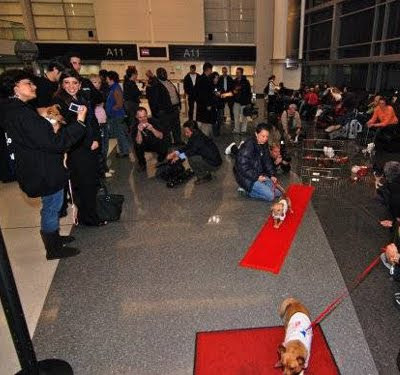 There is a lopsided balance of supply and demand for tiny doggies going on in the United States. 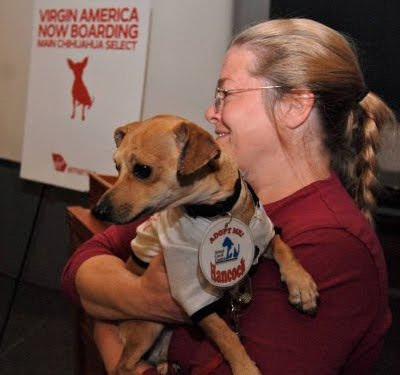 West coast shelters have too many tiny doggies because the demand for them has gone down. Alternately, the east coast, is experiencing a shortage of tiny pups. 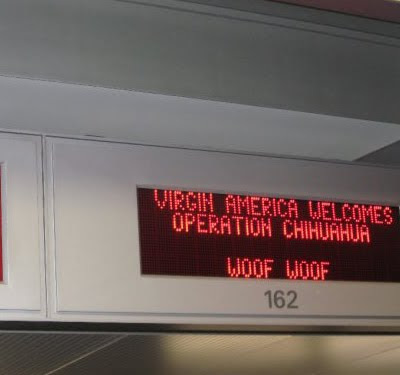 Virgin America to the Rescue! So in an effort to help aid a basic economics problem of supply and demand, Virgin America volunteered to fly a gaggle of chihuahuas to NYC. 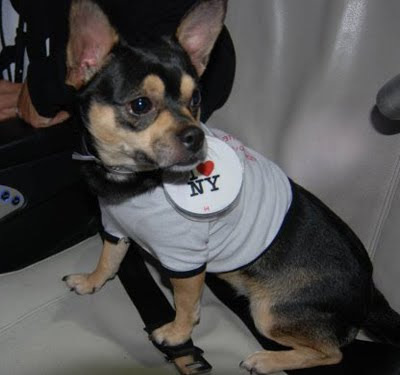 Because tiny dogs are the perfect fit for new york mini-sized apartments. Try squeezing a golden retriever into a 500 sq. ft apartment! 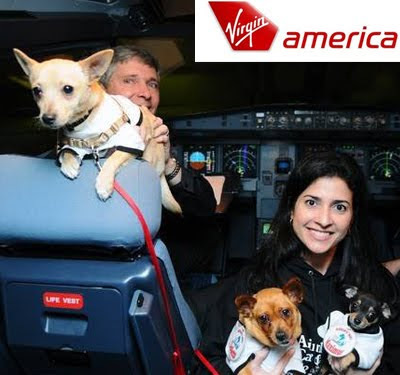 And thus Virgin America is juicing all the good PR out of this story - as they should! Their Facebook page has a big gallery of photos and celebrities like Ellen D are praising VA for their efforts. 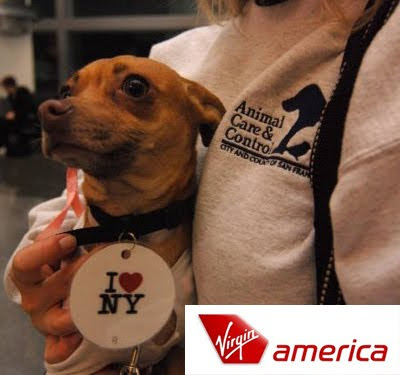 Ellen tweets: "Shout out to Virgin America for what you’re doing for the dogs in California shelters. I love you!"